20 Layout Possibilities and Ideas. 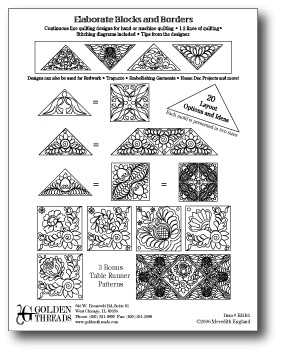 Each motif is presented in two sizes. Stitching diagrams and tips from the designer included. 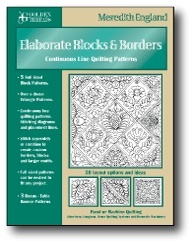 Designs can also be used for Redwork, Home Dec Projects, Trapunto, Embellishing Garments and more!